DanubeChance2.0 will deliver innovative policy designs, give formerly bankrupt entrepreneurs a second chance in the Danube region. DanubeChance2.0 aims to facilitate improved policy learning between policymakers and government agencies; research institutes and universities; financially distressed enterprises currently involved in insolvency procedures, or entrepreneurs who have already gone bankrupt but ready for a fresh re-start; business accelerators; and the public. 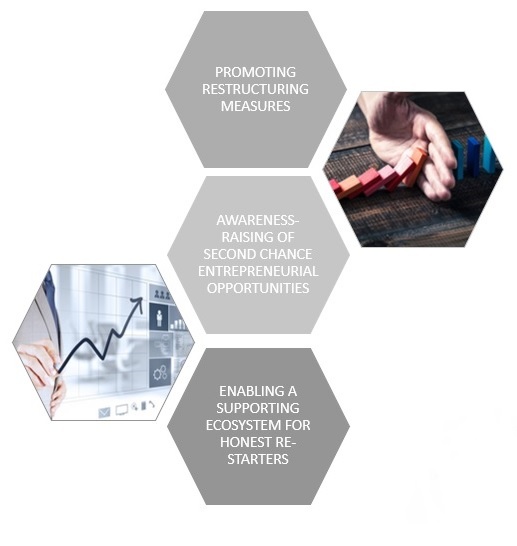 The project will provide a path for more legitimate entrepreneurs whose first businesses have failed to re-enter the market through delivering 130 hours of "blended" learning experiences at the ”’Trial and Error‘ Re-Design Transnational Academy”, and the launch of the first "Business Re-Structuring Initiative", which will provide business acceleration support for approximately 60 legitimate entrepreneurs whose first projects failed. DanubeChance2.0 - What was the main task of the project partners in previous months?